2016 is the year for mobile sites and mobile apps. 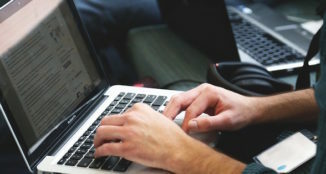 Before, your focus needed to be on speeding up your website and implementing a responsive design. This year your focus should be optimizing your mobile site for speed and performance. 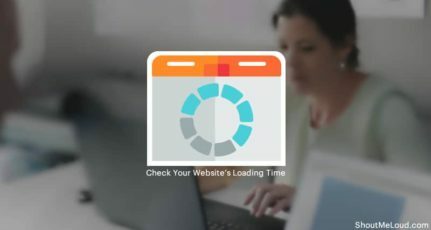 In an earlier post, I have shared how you can check a website’s loading time and in this article, I will share how you can test the loading time for your mobile site. After the test, make sure you pinpoint the problems which are slowing down your mobile site. In the past year, my reading shifted to mobile phones and my action happens on a laptop. Sometimes my mobile is using the WiFi connection and many other times it uses the 3G connection to browse the internet. Many times I have closed a webpage because it takes a long time to load. Unlike desktops where we multi-task (multiple tabs opened at one time), on mobile phones, we are usually doing one action at a time. It is therefore essential that you have your mobile site well optimized for loading and performance. I’m sharing a few websites here which will check the loading time of your mobile site. This is a good starting point for you to see how your mobile site is performing. Along with this, you should also check your Google Analytics report to see how much time is spent on the site and compare it to the bounce rate of mobile readers. First, let’s have a look at the sites which offer insight into mobile website loading time. GTMetrix offers testing of mobile site loading on Android devices. To try this out, you need to create a free account on their site and from the dashboard you can select the “Chrome, (Android, Galaxy Nexus)” option which will test your Android loading time. Right now, this mobile feature is in beta testing and it checks only Android devices. Still, it is a good starting point for you to test your mobile site’s performance. If you don’t have a responsive or mobile design at this moment, you should at least check the loading time of your website in slow speed (3G or 2G speed). When I checked my desktop site on 3G, it took almost 14 seconds to load. 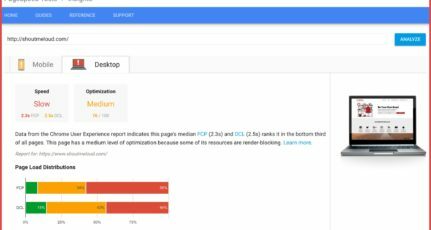 This is an official tool from Google and while it doesn’t specifically test the mobile site speed, it functions as a performance testing tool. 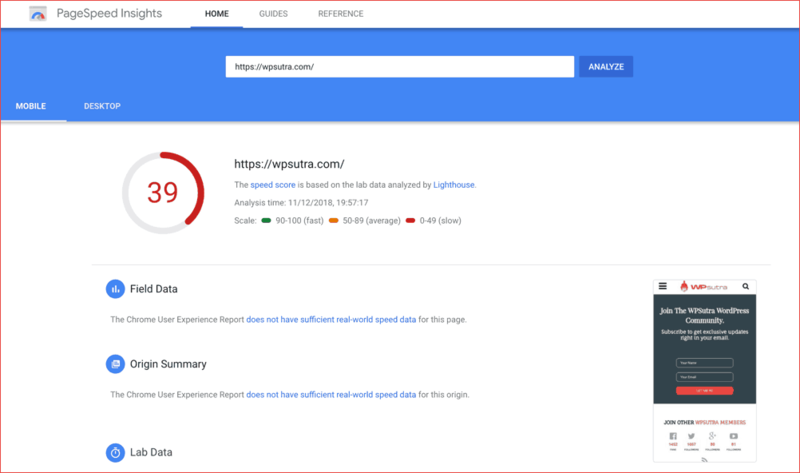 Using Google PageSpeed Insight, you will also receive suggestions on how to improve your mobile website speed. It will show things which are critical, things which need attention, and things which are perfect. I realized a few issues with my mobile site after using this. You should run a test for your website and see how it performs. This tool is mostly targeted to developers, so if you hire someone to develop your website, test your site’s performance here and ask your developer to fix the issues discovered by this tool. At this time, I could only find these two sites which let you run mobile website speed test. 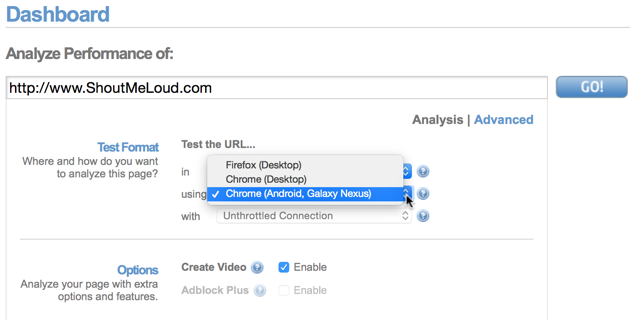 I’m hoping in the coming days we will see a rise in similar tools targeted for mobile websites. For now, go ahead and test your mobile site and share your results with me in the comments. Don’t forget to share this post with others on Facebook and Google Plus. Some of the tools are already used by me and others tools are good to use. Lets check it and know that how its useful for us. Very useful information.Today First time i used google insight and find this tool very useful. Thanks to get informed about it. I already knew about these sites and use them on a regular basis to check the performance of various websites. However, what I would like to know is how to optimize the mobile version of the site so that it scores 95+ on both GTMetrix and Google PageSpeed. If you could, then an article regarding that would be great next time! Finally my search ends here. gtmetrix allows us to analyze our website load time in 2g/3g speed.